For years, highly paid executives at major corporations have had the benefit of professional image consultants to give them feedback about their presentation in the workplace. That expert advice has helped them to dress properly for any business occasion, improve their public speaking and presentation skills, understand the dos and don’ts of the workplace, and enhance their standing in the business community. Now that same type of guidance is available to anyonerecent graduates looking to enter the workplace as well as managers and executives looking to polish themselves and their skills. Jamie L. Yasko-Mangum’s clients include Estée Lauder, the American Management Association, Pfizer, Darden Restaurants, high schools, colleges, and universities. They hire her to give seminars to employees and students on how to project a positive and smart self-image, create a polished appearance, understand what is and is not proper behavior, and see how to communicate intelligently. 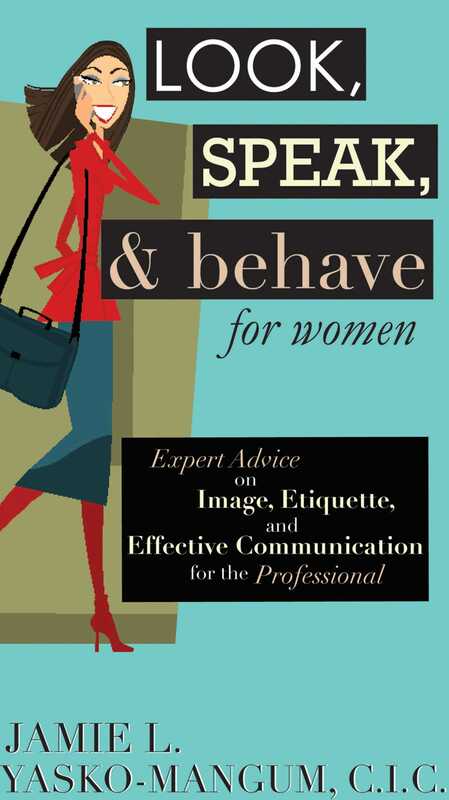 Men and women will find ideas for improving their credibility, authority, reputation, and confidence in a workplace environment, regardless of their profession or position.